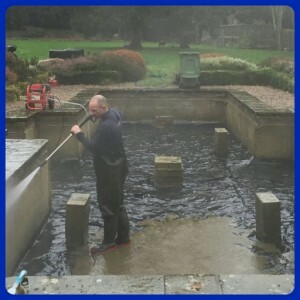 One of our main areas of expertise is pond cleaning. 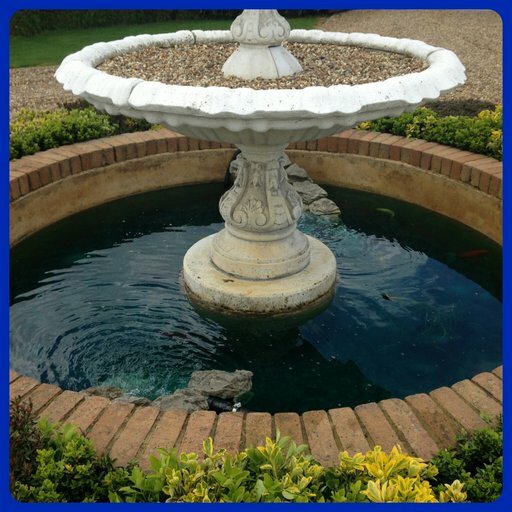 We have vast experience in cleaning ponds and water features. Whether it’s a complete overhaul or a general tidy up, we have the knowledge, equipment and enthusiasm to carry out this often mucky task. Ponds, over time, will become overgrown with plant life and an excess of sludge and other detritus builds up within the pond. If left unmanaged for long periods the pond becomes very unsightly, smelly and unsafe for fish and wildlife. Draining down of the pond. Netting and transferring of any fish and wildlife to our aerated holding pools for the job duration. 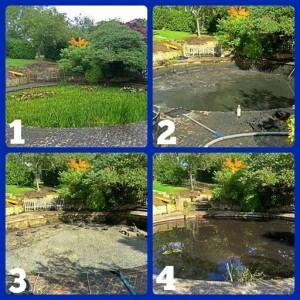 Removal of all marginal plants and pond weed. Splitting and re-potting of all plants/weed/lilies that are to be reintroduced at the end, composting of all unwanted plants. 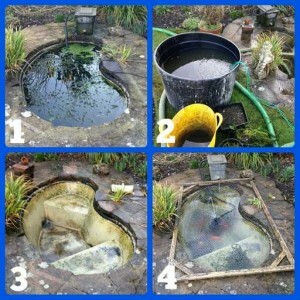 Pump out/manually remove all sludge and detritus from the pond base. This is normally spread onsite under bushes, over flower beds etc as it is a superb fertiliser. 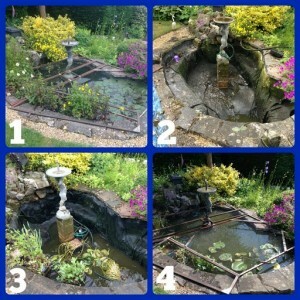 Jet wash and clean the pond base, sides and any surrounding stone work as required. Clean out any filtration systems, pipe work, and pump units. Change UV bulbs as required. 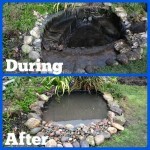 Re-fill pond and apply ‘Fresh Start’ (or equivalent dechlorinator). Apply Clearwater Lake Shadow if required. Re-introduce all fish, wildlife and plants. Complete tidy-up of all working areas (We pride ourselves on leaving the surrounding areas as we find them).